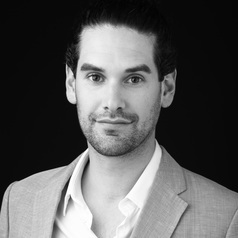 Joshua Zeunert is a AILA registered Landscape Architect (in Australia) with a Masters in Architecture. He is a Lecturer at Writtle School of Design. Before moving to the U.K., Josh was a Lecturer in Landscape Architecture at the University of Adelaide in Australia from 2010-12. He also held casual academic positions at the University of New South Wales from 2007-09 and at the University of South Australia in 2010. Current research interests include aesthetic urban agriculture; urban indigenous biodiversity restoration; streets and cycling; project reviews and a forthcoming book on Landscape Architecture and Environmental Sustainability. Josh has 10 years of industry experience, including working with internationally-awarded Landscape Architecture and Urban Design practices Taylor Cullity Lethlean in Adelaide 2010-12 and McGregor Coxall in Sydney 2006-09. His role focused on integrating environmental systems and research into design projects and practice. He also worked on a range of significant international, national and state award-winning projects including Ballast Point Park; Green Square Town Centre Public Domain (Australia’s largest urban renewal); Victoria Square/Tarndanyangga; Bowden Urban Village; Adelaide Riverbank; National Gallery Australia; Mildura Waterfront; and competition-winning entries. Josh is experienced in shifting project scales from regional planning, strategy and design, to civic and urban design, as well as detailed design and documentation. Recent career achievements include being labelled “Adelaide’s greenest ex pat” (Adelaide Magazine 2009); the AILA National Bruce Mackenzie Future Leaders Scholarship (2009); and being featured in a portrait exhibition titled ‘Celebrating Innovators’ at Federal Parliament House in Canberra in November 2012. Josh was a founding member of the AILA award-winning Biocity Studio and a co-host and founding member of ‘The Plan’, an award-winning weekly radio show in Adelaide that focuses on ‘Architecture, Environment and Affect’. He was a member of the AILA SA Executive Committee and has sat on numerous panels and round tables as well as given various presentations at forums, workshops and conferences.